Paraprofessional Michael Olan was released on $1,500 bail after his arraignment, records show. 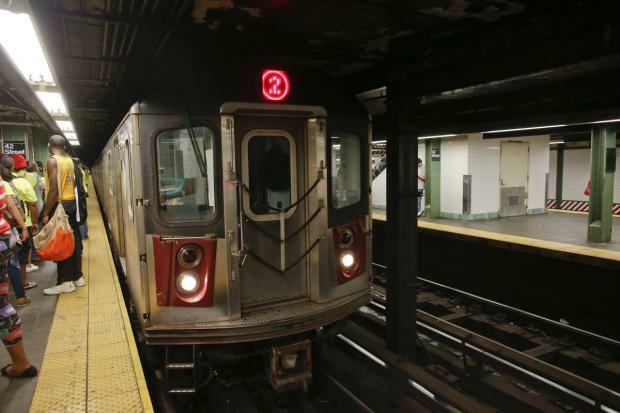 THE BRONX — A city school aide was arrested after he confessed to filming up a teen girl's skirt aboard a 2 train in Pelham Parkway Monday, officials said. Michael Olan, who has been working for the Department of Education since 2012, knelt down and put his iPhone 7 under the 16-year-old's skirt on the train near White Plains Road and Pelham Parkway North about 4:19 p.m., according to the NYPD and Bronx District Attorney's Office. NYPD Officer Britney John saw Olan film the girl, apprehended him and arrested him for unlawful surveillance after watching the recording he made, prosecutors said. "I noticed a woman in an outfit," Olan told the officer. "I proceeded to take my phone and record her under her skirt because I was curious to see what kind of underwear she was wearing." Olan was released on $1,500 bail and is due back in court on Friday, records show. "These allegations are completely unacceptable and Mr. Olan was immediately suspended without pay pending the resolution of this criminal matter," said DOE spokesman Michael Aciman. Olan works a paraprofessional, which generally act as aides under a teacher's supervision and work with special education or early childhood development students, officials said. Aciman wouldn't elaborate on Olan's work with the department, nor would he say what type of screenings are done on paraprofessional applicants. The arrest comes less than a month after another paraprofessional was arrested for putting a boy's head in his lap in a sexual manner. Representatives from the Legal Aid Society, which is defending Olan, didn't immediately return a request for comment.